See below the note we just received from our local real estate association. The Association of Regina REALTORS® Inc. has received notice from a number of members regarding a potential buyer by the name of Greg. Members report that when speaking with this individual his behaviour is erratic and unpredictable. He has reportedly contacted multiple members asking them to show him properties. The ARR would like to remind members to always exercise safe business practises when working with potential new clients. For more information regarding REALTOR® safety, members can view CREA’s resources here. It’s a sad day when people have to be careful when working at their job. I know that police officers, firefighters, etc. have more risks that real estate agents, but it’s sad that more and more occupations face these situations in their every day lives. Sustainability could be defined as an ability or capacity of something to be maintained or to sustain itself. It’s about taking what we need to live now, without jeopardizing the potential for people in the future to meet their needs. If an activity is said to be sustainable, it should be able to continue forever. 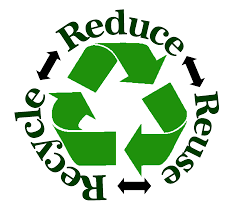 – Set up bins according to materials your municipality accepts for recyclables. – Don’t dispose of electronics in the garbage. – Take shorter showers to reduce water use. – Mount a low-flow shower head. – Install a faucet aerator on each faucet. These inexpensive appliances conserve heat and water while keeping water pressure high. – Plant drought-tolerant native plants in your garden. – Investigate the use of a water barrel. Some municipalities have programs to collect rain water. -Skip the bottled water, use reusable water bottles instead. – Set thermostats a few degrees lower in the winter and a few degrees higher in the summer to save on heating and cooling costs. – Install compact fluorescents when old incandescent bulbs burn out. – Unplug appliances when not in use to avoid using phantom power. – Wash clothing in cold water whenever possible. 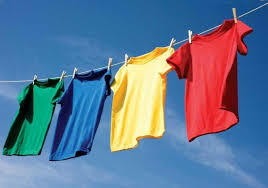 – Use a drying rack or clotheslines to save energy (I love that smell of clothing that dried on the outside clothesline). 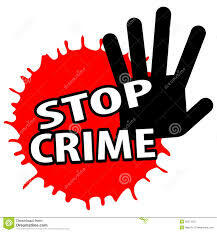 – Check online (kijiji, craigslist, etc), garage sales, thrift stores and consignment shops for gently used items. Thanks to my friends at MCAP for providing these great hints. 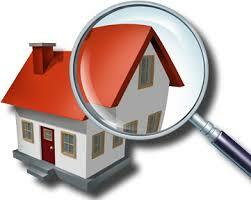 A home inspection is a common request for most home buyers. The inspection is a visual inspection only. The inspector will not open walls or move your contents in the home. A proper inspection will leave the home in the exact condition it was in prior to the inspection. Every attempt should be made to ensure the inspector and buyer have full access to the home. By restricting the inspection, you are allowing the imagination of the buyer to conjure up any number of problems for the unknown area of the home whereas the true condition of the home is almost always less dramatic than what is imagined. Also a request by the buyer, after the initial inspection, to access the restricted area will often cause delays in removing the home inspection condition on the offer and additional expense to the buyer for the inspector to return to the home. • Ensure the attic access is accessible If located in a closet, remove the contents and shelves in the closet. If the access is sealed shut, cut the seal, as the inspector will not damage any part of your home. • Any crawlspace access should be made accessible. • Clear away contents in front of the electrical panel, furnace and water heater. • Ensure the sump pit is accessible. • If the appliances are included in the sale of the home, ensure the washer is empty as the inspector will not test this unit and risk damaging your clothes. • If the home is vacant, ensure the water is turned on and the furnace/water are also operable. A home inspector will not operate water shut off valves or light pilot lights. • Light the fireplace pilot light and test the unit. If the fireplace has not been operated in some time, disclose this to the buyer or hire a qualified contractor to service and start the fireplace. • When the buyer is meeting with the inspector in the home, don’t be there. You want the buyer and inspector to be comfortable discussing all aspects of the home. Any questions that may arise during the inspection can be handled by the realtors after the inspection. • When in doubt, ask your realtor. They are there to assist you in all areas of the sale of your home. Thanks to Ryan Spriggs, owner and operator of Spriggs Inspection Inc. for providing this important information. Today’s Leader Post article said home sales in Regina up 6% in the first quarter over the same period in 2015, while prices are 3% above where they were at end of last year. The average sales price in the Regina AREA for March was $307,609, an increase of 2% from $300,892 last year, while the average in the city was $317,327 up 3% from $307,648 last year. The home price index which measures residential price trends based on 4 benchmark home types, reported a residential price of $286,300 up .5% from $284,800 in 2015. So residential property values are very comparable to what they were 1 year ago. In Regina there were 1179 homes for sale in March, with 28% being condos. Listings have decreased and the ratio of sales to new listings for the month was 50% in the city. Balanced market conditions are in the 40-60% range, below 40% is considered to be a buyers market, while above 60% is considered to be a sellers market. So we seem to be shifting to a more balanced market. Spring and summer usually have a pickup in sales activity.